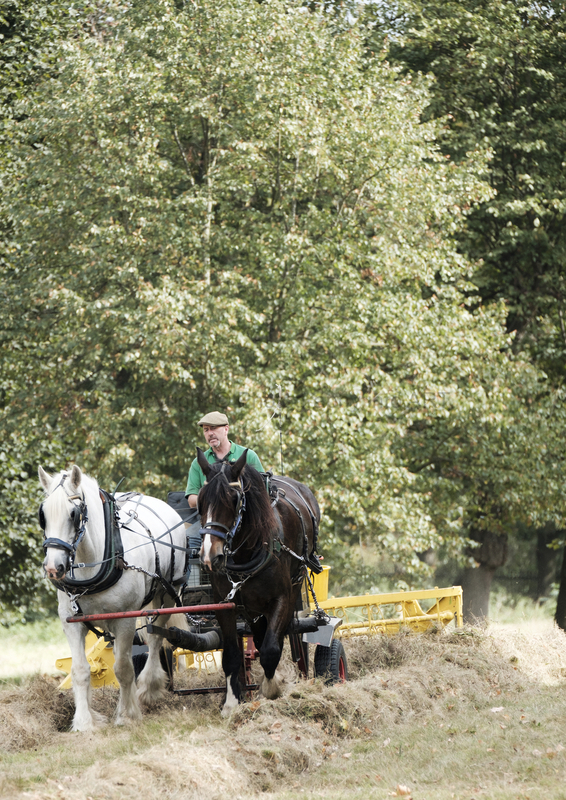 Buck Hill in Hyde Park/Kensington Gardens, Edward MacDowell drives Roy and Aragon, pulling the reciprocal mower. 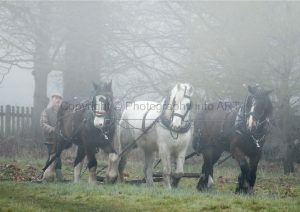 THE LAST HERD – Winter – Tom Nixon drives Murdoch, Heath and Tom as they emerge from the mist. 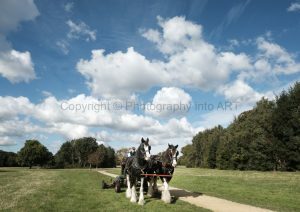 Harrowing the meadow near Ham House on a winters day near the Thames. Tom Nixon drives Murdoch, Heath and Tom as they emerge from the mist. 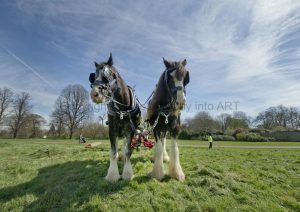 Edward Drives as Heath and Tom as they mow the grass in Hurst Park.